Welcome to this inviting & homelike holiday house with high quality furniture. The house is situated undisturbed on a large estate and has a big terrace - here you will for sure get a peaceful vacation. You live almost directly by the rivers Lygnaelva and Kvåsfossen; the latter is one of the best salmon rivers in Southern Norway (salmon season from 1 June to 31 August). 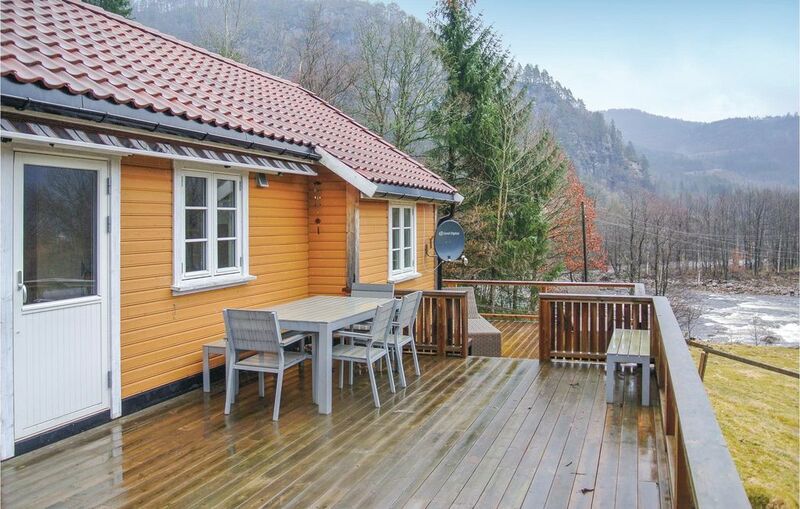 Only 15 km away you find the town Lyngdal with boat rental & several good places for swimming. We recommend day trips to Lindesnes lighthouse (Norway's oldest), to the pictoresque harbour Korshavn, and to the "Dutch city" Flekkefjord. The area Lista is a paradise for ornithologists, archeologists, and botanists.